Royal Enfield today unveiled the Himalayan, an all-terrain 411 cc motorcycle to add to its already impressive lineup of niche bikes such as the Bullet, Classic, Thunderbird and Continental GT in the country. The Himalayan is a motorcycle which the company claims is built for adventure and touring in the Himalayas. The company has used a completely new design, and the bike is powered by a new LS 410 engine. The Himalayan comes with 220 mm ground clearance, and will be available in two colour options—Granite and Snow. The Himalayan will be on display in select Royal Enfield stores in the Delhi and the NCR region from February 3, 2016. 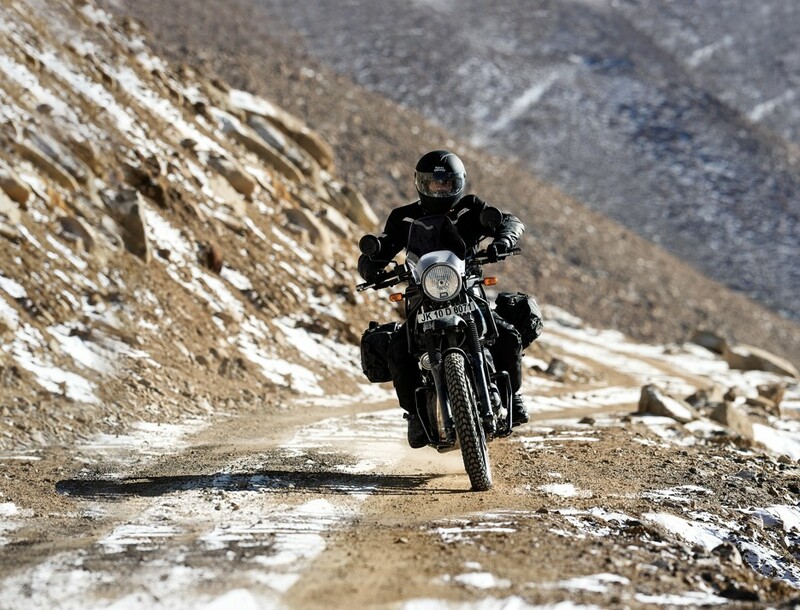 Customers can book and test ride the Himalayan across the country from March 17, 2016. Both color variants of the Himalayan come with a five-speed gearbox and 24.5 BHP engine. The company would also sell accessories to go with the “go anywhere” bike. The fuel tank on the Himalayan will be a 15 litre tank.